The eclectic instrumental 7-piece TG Collective perform an intoxicating and intriguing mix of gypsy jazz, flamenco, jazz and contemporary classical influences, based around the core of guitarists Jamie Fekete and Sam Slater. Creating ‘an exciting, sensuous sound’, TGC perform original music and arrangements, touching on influences as varied as Paco de Lucia, Django Reinhardt and JS Bach, and have built up a strong following with their intense live performances. 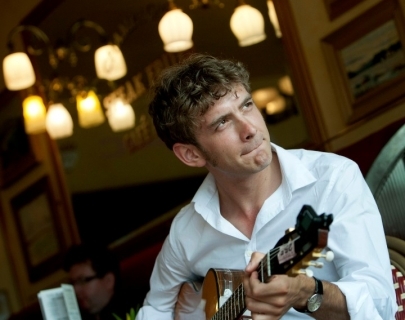 The Remi Harris Trio are an exciting young contemporary gypsy jazz group featuring the guitar of Remi Harris. They take traditional gypsy jazz and swing characteristics and infuse them with influences from bebop, blues, rock, world music, contemporary jazz and popular melodies for performances that mesmerize and inspire every time.